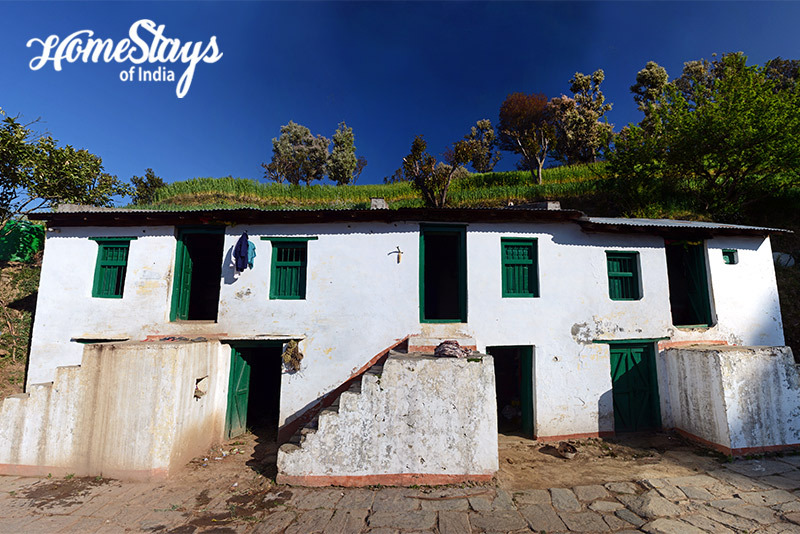 Kanarkha is a small village with about 50 houses, spread in 105 km area. 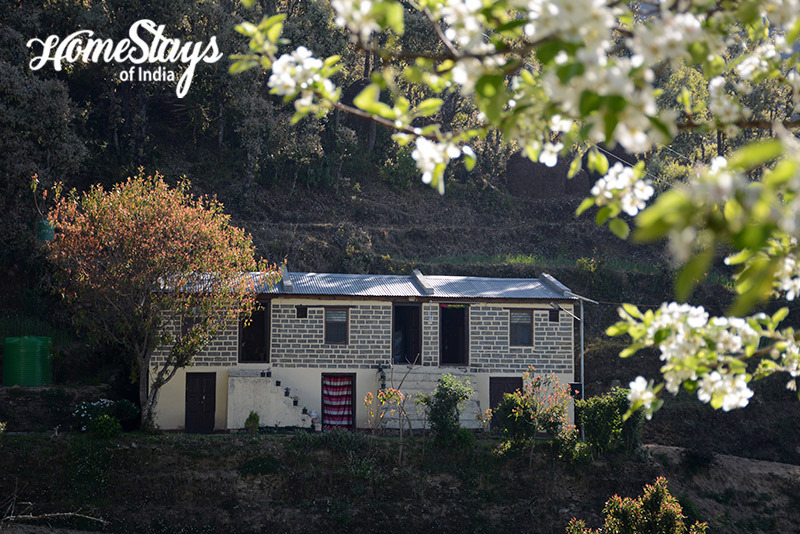 It sits at a mild altitude of 7000 ft., 6 km from Padampuri and 32 km from Nainital in Kumaon Hills. 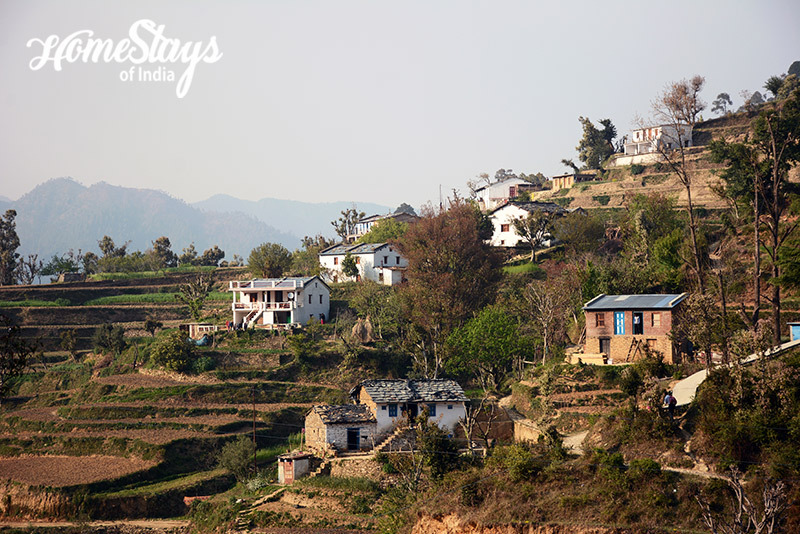 Most of the people here are busy in farming and grow probably the best quality of Potato and Peas in whole Nainital region. Being a fruit belt their orchards are full of Peach, Plum and Apricot and Pears to pamper your taste buds. 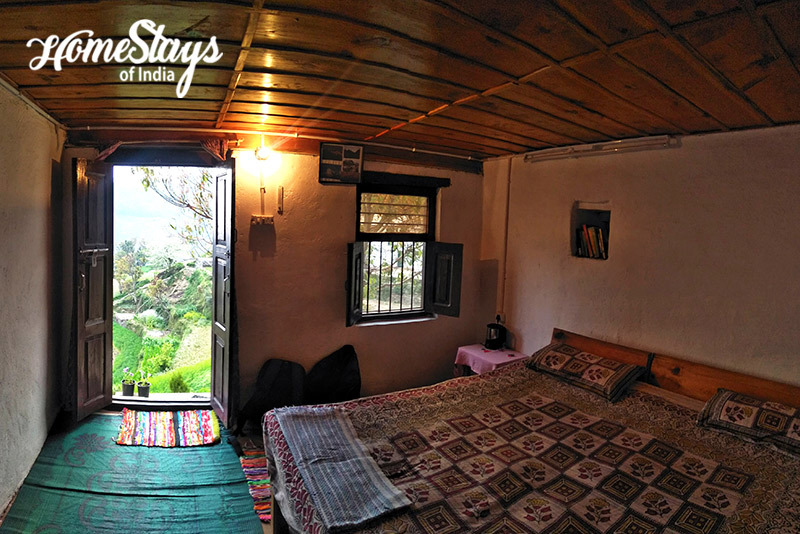 Kanarkha offers some really good short treks in the Oak forest where you may sight Sambhar, Mountain Goat, Barking Deer and if you are lucky you may sight a leopard also. There are about 200 species of birds. It’s gorgeous star-studded nights can easily refresh your romance. 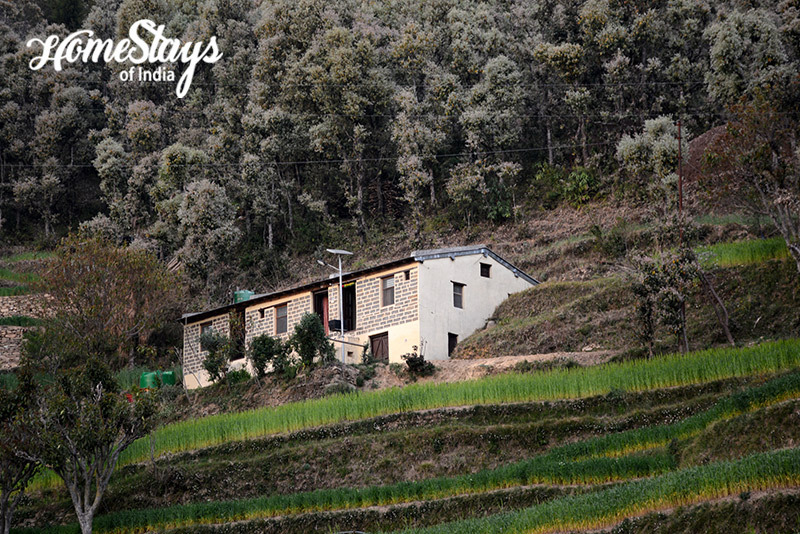 Not just a homestay, it’s a perfect farm stay nestled in the lap of nature. 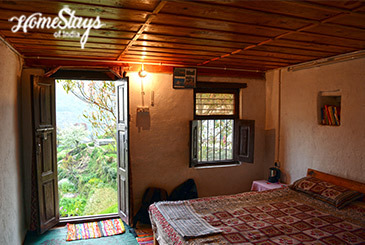 Built in typical Kumaoni style on one side of valley and beautiful step farming in the front, its seems to be a perfect hillside homestay. 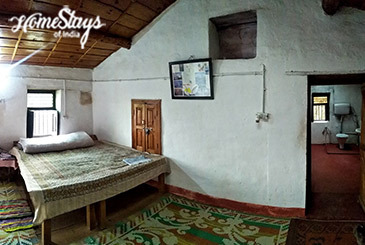 It consist of 3 guest rooms; a set of 2 rooms on the first floor with 1 bathroom in common and 1 room on the ground with a separate bath just beside. Since its a joint family venture, there can be more room created for bigger group. Kanarkha has good mobile and internet connectivity. The host Daya has kept a multi purpose printer also for guest and villagers’ use. Daya Kishan Dani and his family are resident of Kanarkha village for ages. Every nook and corner of kanarkha is well known to him. He is a simple man who loves to talk about nature and farming, spend most of his time in farming and social work. He can guide you to the jungle walks and hidden treks. 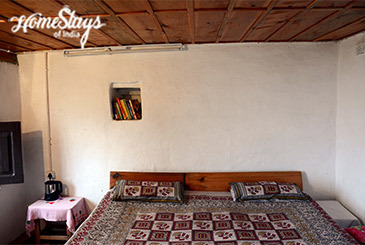 He along his mother and wife Puspa takes care of the homestay and the guests. Deepa Devi, mother of Daya is assisted by Pushpa, her daughter in law in the kitchen and what a chemistry they have ! They cook so fast that can serve to 1 dozen people on less than half an hour notice. Since Deepa is from the last generation, she is very good on traditional cooking. Her best is Aaloo ka Gutka, Kumaoni Halwa, Bhang ki Chutney and Sarson ka saag. In breakfast you may ask for Butter Toast, Sandwich, Stuffed Parantha, Bread Omelette and Tea/Coffee. 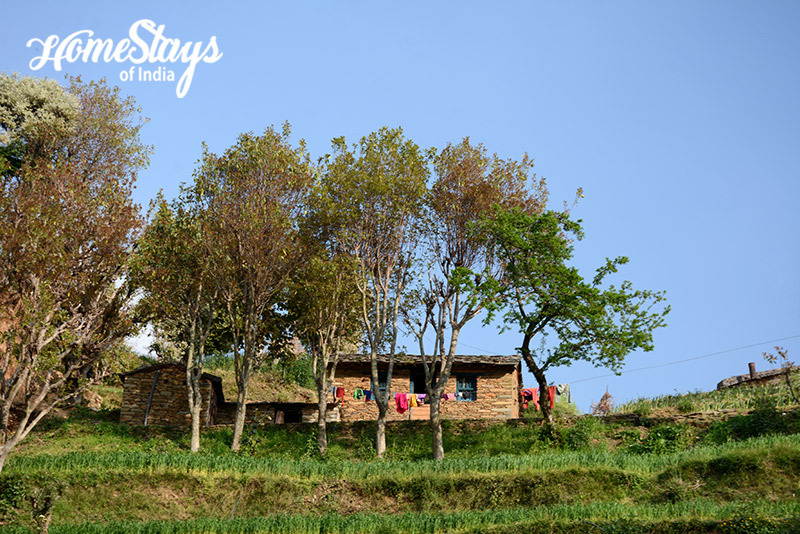 Since Daya has a rich livestock and own farming, they provide garden fresh organic vegetables and milk products. 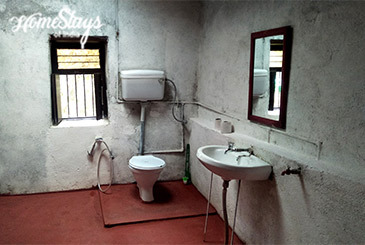 In lunch and dinner you can expect most of North Indian including traditional food. Non-veg can be provided on prior demand.